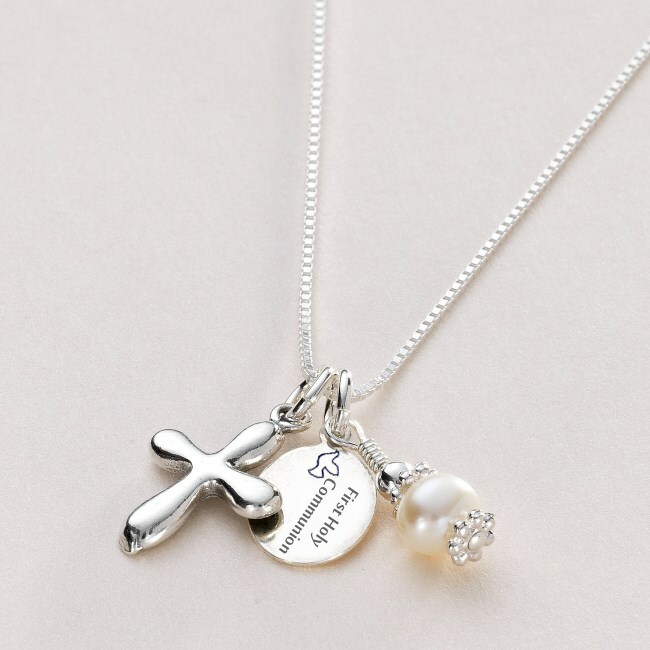 Sterling Silver First Holy Communion Necklace with Engraved Tag, Freshwater Pearl and Cross Charm. This personalised necklace is available in various sizes for girls and ladies. 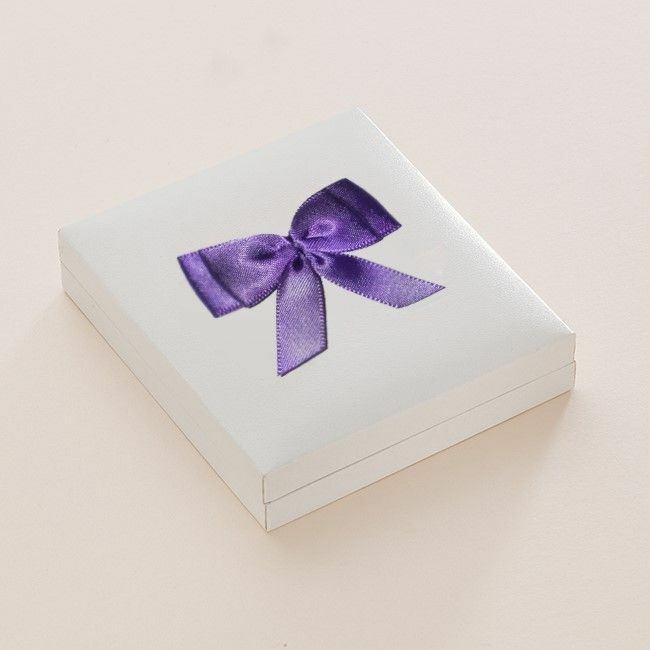 Presented in a padded and hinged gift box with pink bow, along with the little gift card as shown for your own special message. The sterling silver tag on this ideal piece of first holy communion jewellery has the words "First Holy Communion" Engraved on the front. Free engraving is included on the back on the tag! We can fit up to 18 characters on the back (including spaces). Perfect to personalise with special dates, names or messages to make an ideal gift or a something special for yourself.